Help with a potential new machine?! Rupes Duetto best place to buy? pretty old school rotary and rather weighty! I tend to use it less than 10 times a year as im only an enthusiast and was thinking of changing to something probably a bit smaller and lighter but still with decent speeds of correction. I just dont really know what to go for now that the DA market has got more competitive. Do a Golf sized car, but still be useful in some tighter areas on the bumper etc. will accomodate my 6in pads but perhaps also smaller pads since its only for personal use. is there a DA / rotary that fits this requirement? Rupes / vertool / shinemate?! After looking through a few thread its looks like the Rupes Duetto would be a good choice?? Last edited by ad_182_uk; 14-02-2018 at 03:41 PM. Duetto is a 5" machine I believe, that can also do sanding. Unless you buy the £99 kamikaze Collection backing plate then you won't be able to fit spot pads to it for tight areas. If you just want something with a 5" backing plate to do most of the car quickly, then the Rupes LHR15 MK2 is probably a good bet. Couple it with some microfibre pads and the cut should be pretty good. Of course, you could get similar results from something like a DAS 6 Pro or any other 15mm orbit polisher, but it's up to you if you want the Rupes or a cheaper version. Lots of people like gear driven DA polishers as well, such as Flex polishers, the new Rupes Mille, or the Vertool Force Drive. Coming from a rotary that might be more up your alley, as you don't have to worry about pad stall like with a regular DA. You have mastered the rotary and are comfortable using it so I'd stay with this type of machine. I have a Rupes LH18EN rotary that fits your requirements of being lightweight (only 2.0 Kg), quieter than a DA and smoother to operate as well. The light weight and lack of any vibration is particularly noticeable when working on the vertical side panels of a car where the weight of the machine has to be supported. 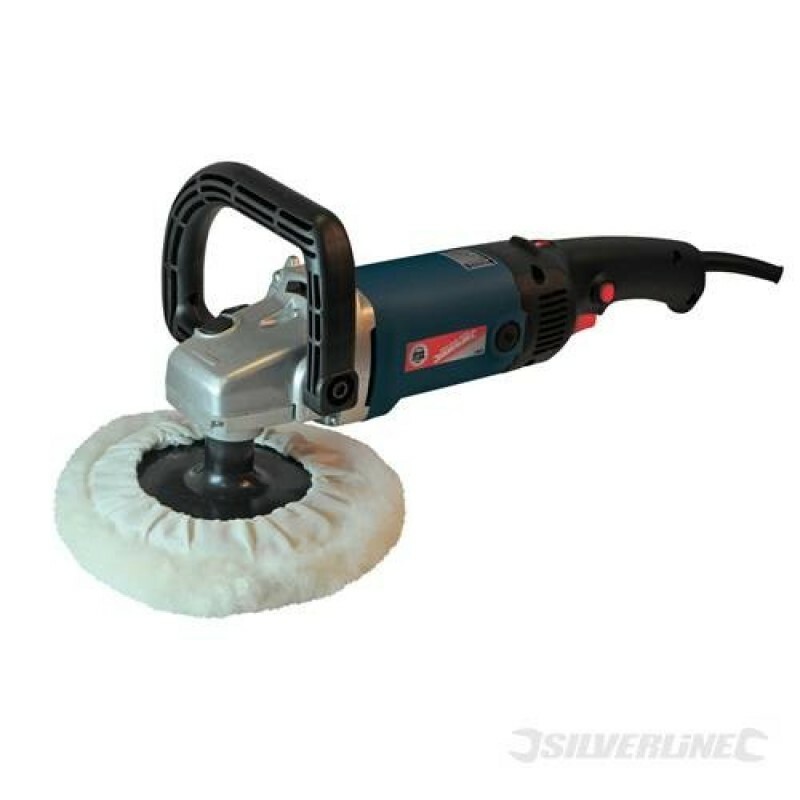 Different size backing plates are readily available and will allow the smaller size pads you mention to be used without buying a second polisher. Haha i wouldn’t say mastered but what you have mentioned sounds interesting. Ill have a look! A comment that is a personal one only on a subject that has been beaten to death. There always seems to be way too much focus on the cost. Although it is a personal important factor, the quality of what you want should be as equal. AlanW has explained the pros for a Rupes LH18EN excellently. Yet many will immediately think its too good and costly. "It is not cheap, it is good value". It is even more interesting now its reduced due to the 19 release. Never by cheap tools, you just end up replacing them as a rule with another cheap tool. look for quality and good value always. JMHO. You will need to buy the b/plate and pads still, but only what you choose. The compounds and pads and consumables are where the biggest costs are. The Rupes will outlast you and you could resell it anytime in a heartbeat. But you will not want to as its a top, top tool. I have been having a rethink on the above and i think i have come to the decision that i could probably continue to use my rotary for large flat horizontal panels. My troube is deciding between a deutto or the lhr75 for areas like doors, wings, bumpers etc. I am leaning slightly more towards the mini as then i will have a variation of pad diameters on the fly depending on whether i use my rotary or the mini. It's my Achilles heel when I come to use it, it tackles the areas where your 5"-6" can't get to and it's a joy to use. Agree with this. The Mini is the same as the Duetto except with a smaller 75mm backing plate and I love mine for curved panels, roof pillars, ‘B’ pillars, mirrors, sills, bumpers etc. Definitely second all of this! I own a Mk11 TT and the Rupes Mini can probably be used on 50% of the car's paintwork at least due to the curved shape of most panels. Don't forget that, unlike a rotary, a smaller DA spot pad cuts more than the equivalent full size pad.